From potholes to Pirlo and a parodic film from a fizzy pop firm, the gaffers at PRWeek have picked our line-up from June's hottest campaigns. Vote below for your favourite. In what could be described as a direct approach to cause marketing, Domino’s has been helping fix potholes in four towns in the US using a vehicle that featured the pizza chain’s logo, in a partnership with local government authorities. The marketing spiel is that reducing potholes helps prevent pizzas being damaged on delivery. As a bold, quirky concept with a clear public benefit, it was inspired. 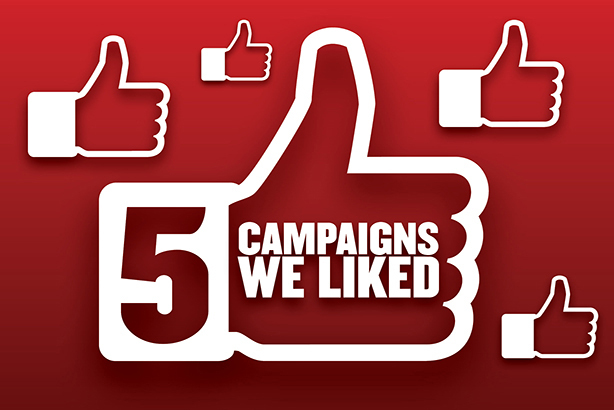 All PR was done in-house, but US ad agency CPB produced advertising to accompany the campaign. There's a notable absence from the World Cup in Russia: multiple-time former champions Italy, and its dreamboat playmaker Andrea Pirlo. Maccie D's Uber-based service McDelivery from UberEats decided that Pirlo could look on the bright side - this year, he has a free summer to watch the tournament from the comfort of his own home. But... he needs a team to support. Eight former World Cup stars, from Australia's Harry Kewell to Brazil's Cafu have been lined up to lobby Pirlo for his support, with social media users voting using the hashtag #TeamForPirlo. It is not clear when a winner will be announced. The global integrated campaign is being run by UK agency Pitch Marketing Group. Network Rail’s new ‘Lorries Can’t Limbo’ campaign aims to make an, ahem, dent in the 2,000 incidents a year in which lorries and high vehicles crash into railway bridges. The current level of bridge crashes costs Network Rail an eye-watering £26m per year – in repair costs, compensation to train operators and lost productivity. The campaign urges HGV drivers to "wise up and size up" their vehicles before setting out and then to plan their journeys to avoid bridges that are too low for them. Success will be measured in reduced bridge strikes and increased awareness of the campaign messages among drivers. Paddy Power trolled the World Cup host with an LGBT+ donation campaign in partnership with Attitude magazine, aiming to highlight Russia's discriminatory policies. High-profile campaign supporters recruited include ex-Olympian Caitlyn Jenner, former rugby star Gareth Thomas, England women's football international Lianne Sanderson and choreographer Louie Spence. Attitude's publisher Darren Styles OBE said: "The LGBT+ community has a long history of reclaiming and adopting behaviours, words and styles that were intended to discriminate against us, so for this tournament we’re adopting Russia... It will be hugely satisfying to see a goal from Russia send a message of equal love."